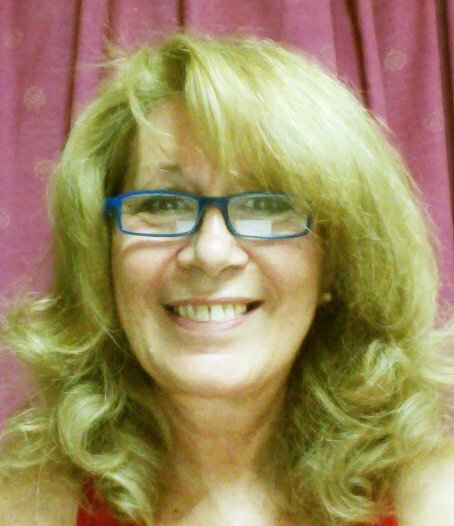 On this page, you can find links to my centre where I offer teacher education courses for TEFL teachers. If you would like to study with me, please click on any of the links below to be taken to my website and find out more about the courses offered at my centre. 2017 was our 24th anniversary! 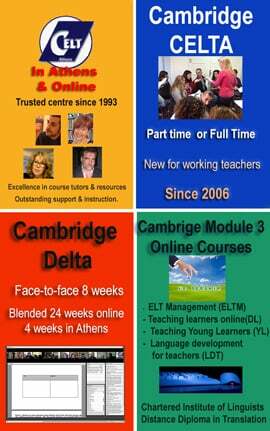 We offer Cambridge CELTA and Cambridge DELTA courses all year round as well as a range of other courses. If you would like us to run an on-site mini course for your school or an online course, please visit our INSET page and send us an email. Our team of tutors has wide experience of designing tailor made programmes for local and international schools. This course has been designed for practicing language teachers and trainers who need to improve their existing IT skills and build on them to enhance their teaching and use technology in a pedagogically effective way. A Certificate of Attendance is awarded to all participants. For DELTA candidates who plan to follow this specialism for their Module 3 Certificate – which leads to the Cambridge DELTA Diploma; participants will learn about testing, needs analysis, syllabus design and improve their knowledge of a range of Learning Management Systems such as Moodle, Virtual classrooms and more! A Cambridge DELTA Certificate is awarded to those whose Module 3 Extended Assignment receives a Pass, Merit or Distinction Grade. Assignments are supported by CELT tutors but marked by Cambridge ESOL and form part of the overall Level 7 Cambridge DELTA Diploma. A course specifically addressed to DELTA candidates for Module 3 who wish to follow this Specialism and work on an ELTM assignment. At the end of this course, participants will be supported in writing their assignment; successful candidates will be awarded a DELTA Module 3 Certificate. A Cambridge DELTA Certificate is awarded to those whose Module 3 Extended Assignment receives a Pass, Merit or Distinction Grade. Assignments are supported by CELT tutors but marked by Cambridge ESOL and form part of the overall Level 7 Cambridge DELTA Diploma. More experienced teachers who wish to consolidate their career and take on positions of responsibility as Directors of Studies, Academic Managers, Teacher Trainers and more usually look at the Cambridge Delta as the basic foundation in that direction. Most of the higher positions advertised today specifically mention the Delta as one of the requirements..
Join our Facebook DELTA group for some useful discussions and link sharing. Part time courses are offered at least twice during the academic year starting in October and January with sessions on three mornings per week (half-day sessions till 14.00) or once aweek on Saturdays (all-day sessions). We also run occasional evening courses and courses on demand (for example, for the teachers of a particular institution). A full time 4-week option is offered several times a year in February,May, June, July, August, September, November. Sessions are every day from 10:00 to 18:30. The CELTA is also offered as a blended option (online and face-t0-face) with obligatory attendance of a minimum of two weeks for Teaching Practices and peer observations – an integral part of the CELTA course. You can read more about the structure and organisation of the online CELTA on this page. Do bear in mind that to pass the CELTA, all components of the attendance must be at 100%. CELT offers part time and full time courses throughout the year with great results! 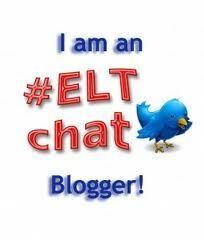 …get the trusted scoop on Online TEFL Courses!